In honor of National Nutrition Month, the March edition of First Fridays focused on food and wellness. 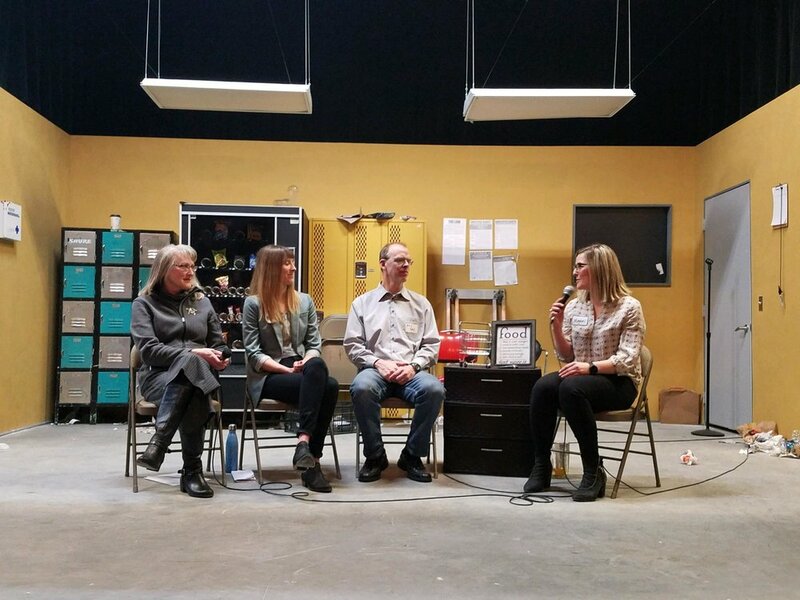 We welcomed public health experts Michelle Draxten (Fargo Cass Public Health), Rory Beil (Clay County Public Health Center) and Mary Larson (North Dakota State University) to the stage to share perspectives on how the food around us shapes us. The Red River Market is hosting a spring farmers' market at the Moorhead Center Mall on Saturday, March 30 from 10 a.m. to 2 p.m. This indoor event will feature pantry items, household goods, baked goods, art, hot food, and beverages. Shop with your favorite Red River Market vendors while enjoying live music and more!